If you want to enjoy each of the impressive views that the Inca City offers, or if you prefer to see it from above; The short hikes in Machu Picchu offer one of the best ways to enjoy all the natural beauty that surrounds Machu Picchu. Some of them can be done with the ticket Machu Picchu Only but others will need a special ticket Machu Picchu. 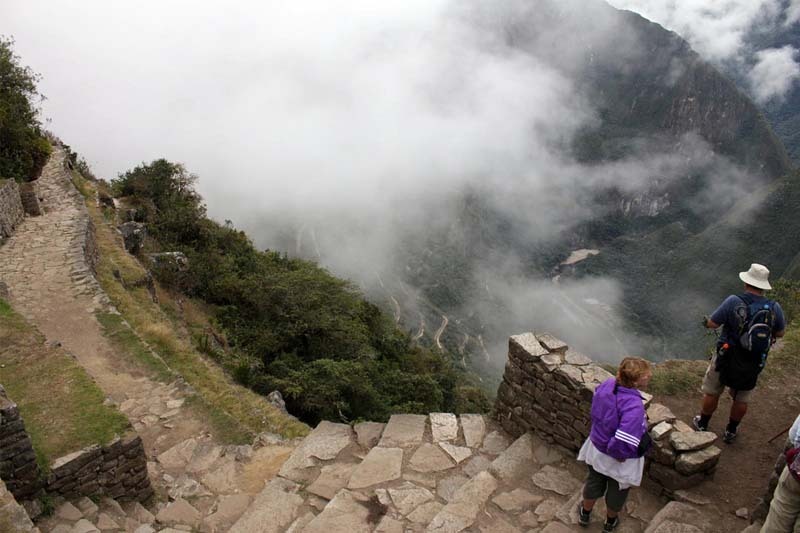 This ancient Inca trail will lead you to the top of the Huayna Picchu mountain, just in front of the Inca city. It is the most amazing experience; Of course, after Machu Picchu. You can see agricultural terraces next to huge cliffs, the Temple of the Moon , and other structures that complement the road to the top. Some of the roads near the top are quite narrow and are located between the mountain walls and huge cliffs these can be traversed with rails and ropes; Is a terrifying experience for anyone with fear of heights. Only 400 people can enter Machu Picchu every day. When checking availability, you can choose the group in which you want to enter Huayna Picchu, 7:00 or 10:00 am. The demand for this trek is very high, especially during the dry season (April – October); For this, the Machu Picchu Ticket + Huayna Picchu must be reserved with 6 months of anticipation. Admission: you can only enter the mountain Huayna Picchu with the Boleto Machu Picchu + Huayna Picchu. Travel time: 45 minutes to 1.5 hours to reach the top. Altitude of the summit: 2,720 m (8,920 feet). Restrictions: only those over 12 years old can ascend the mountain Huayna Picchu. Tip: The Machu Picchu Mountain excursion is a good alternative if you are afraid of heights. This mountain almost doubles in mass to the mountain Huayna Picchu, will have to cross steps and Inca trails until the summit. It is a steep and difficult hike, but once at the top, you can get 360 degree views of the fabulous mountain environment of Machu Picchu. The entry point to the mountain is open every day and can be entered in 2 schedules; From 7 to 8 am and from 9 to 10 am. It is best to take the first group in the dry season to avoid the midday sun. Admission: you can only enter this mountain with the ticket Machu Picchu + Mountain. Travel time: 1.5 to 2.5 hours to the summit. Tip: It can be visited with small children and elderly people, since it is not necessary to reach the top for beautiful views of the surroundings. The walk to the gate of the sun (or Inti Punku) is much easier compared to the ascent to the mountains Huayna Picchu or Machu Picchu. It begins near the “guardian’s house”, towards the mountain “Inti Punku”. It is a gradual ascent to where it is that was the main entrance to Machu Picchu during its apogee. It will take you between 30 minutes and 1.5 hours to reach Gate of the Sun, depending on your physical condition. 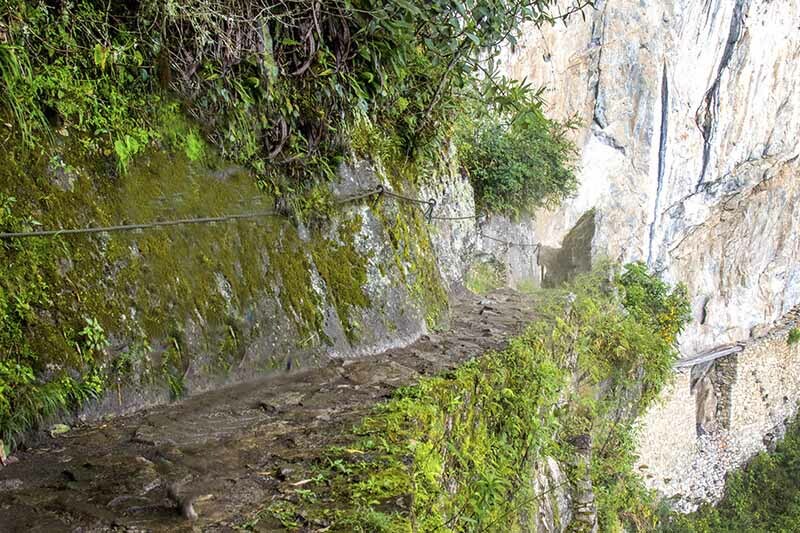 It is known that this step was controlled by empire guards; This point is where people who walk the Inca Trail enter and from where they can see for the first time Machu Picchu. Admission: you can take this trek with the Ticket Machu Picchu Only. Travel time: it will take you from 30 minutes to 1.5 hours to reach the door of the sun. Maximum altitude reached: 2,720 m (8,858 ft). Tip: This place will give you a clear idea of what people saw 500 years ago, before entering the Inca City of Machu Picchu. 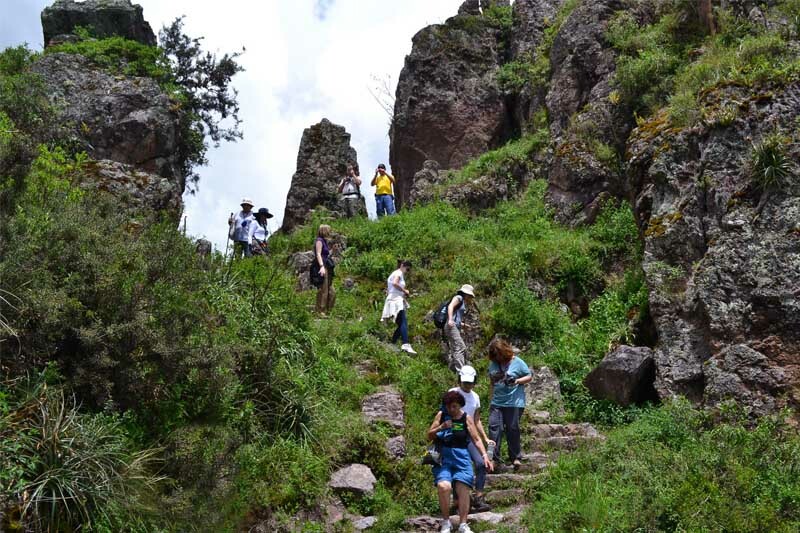 The path to the “Inca Bridge” surrounds the back of the mountain, is not a very strenuous hike, but if at high altitudes, so you will have to struggle with your fear of heights. The beginning of the path is beyond the guardian’s house. Like hiking in the mountains, this must be started, registering at the checkpoint. This path offers spectacular views of the valleys below the mountain, in some of the narrowest parts of the road, you will find metal cables and ropes that protrude from the wall to hold. The bridge is yes is not so impressive, its value lies in that apparently it was a secret entrance to Machu Picchu; In addition you can take all the photos you want of the Inca bridge, but you will not be able to cross it. Level: Easy (has some very steep sections). Time of the trip: it will take 20 to 30 minutes, to reach the Inca Bridge. In most cases travelers take a 20-minute bus along the Hiram Bingham Road to Machu Picchu; But if it is for people who enjoy walking, you can get from Aguas Calientes to Machu Picchu by walking . To do this, follow the road from Aguas Calientes along the Urubamba River to the control post of the ruins bridge. The clearly marked path begins on the other side of the river and follows a stone path that cuts down the hillside to Machu Picchu. Admission: you do not need any special ticket but you will not be able to enter Machu Picchu without a ticket. Travel time: 1.5 to 2 hours to the entrance to Machu Picchu. Bring plenty of water and snacks in your backpack. Take a couple of days to acclimatise before any hike in Machu Picchu. It is best to take walks with the right footwear (mountain boots). If you are going to ascend some of the mountains to the interior of Machu Picchu, we recommend you to use the bus to climb to Machu Picchu and avoid walking upwards, this will prevent you from being too tired to enjoy the mountains. Take into account the times; Not only the time it will take you to do any of the round trips, but also your train schedules, to verify how much time you have to do them. If you prefer to avoid all the mishaps caused by organizing your itinerary on your own, please contact one of our travel experts, at info@boletomachupicchu.com.